Every springs it is the same thing. 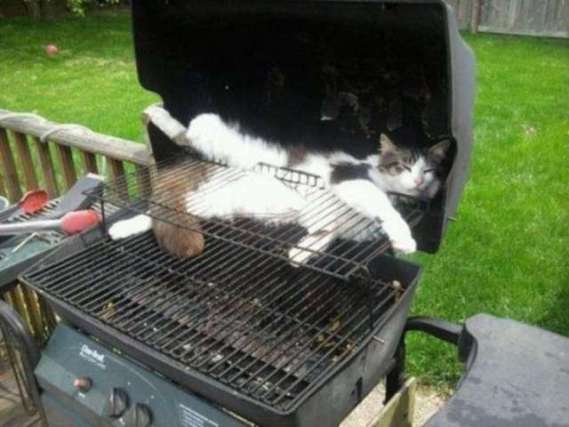 I'm a taking a comfy naps and some human decides to cleans the grill. At leasts they don't turn it on first! I don't want my fur singed!